21 Reasons to ride the 21st edition of Cycle Challenge! Full road closure gets you that one day on your bike in Joburg, with absolutely no traffic! Be part of the second largest timed cycling event in the Southern Hemisphere. With approx. 94.7 kilometers to ride over Joburg’s undulating terrain, training will make you fitter and stronger, and certainly challenge your body. With approximately 30 000 other riders around you, there will always be someone to chase or relax with. Our friendly staff at the water points are well-equipped to keep you hydrated. Our world-class medical team, physio therapists and mechanics lead the way in helping you get all the way to the finish line. This a meticulously organised event, so you can enjoy careful planning and safety from the start chutes to the finish at Riversands Commercial Park. The Professional Women’s race has a 1.1 UCI rating – the highest one day class. Even some of the high profile European races don’t have this rating; and very seldom do you get to ride the same course as the professional’s – just another reason to enter the Cycle Challenge! The support along the route sets this ride apart from many other races. Supporters line the route near their homes and organisers arrange a number of official spectator points where there is extra vibe, to motivate you. The Nelson Mandela bridge is world famous, and you will pass over it. Perhaps one of the many photographers will even capture your crossing. If you join one of the charities under the Ride for a Purpose campaign, your effort can also change lives. Many riders also have a chance to get an earlier start time in a Ride for a Purpose start group. Soon after the start there’s a ride around the famous, recently upgraded Kyalami Grand Prix Circuit track. The track is reserved for private usage and does not generally permit the usage of bikes on the track – something the Cycle Challenge has managed to arrange for you! By entering the Cycle Challenge you not only allow the organisers to showcase our beautiful City of Joburg, but also to create economic opportunities for some affected communities along the way. The M1 Highway is always busy and cycling there is sensibly illegal, except on Cycle Challenge Sunday when you can enjoy a whole other adventure on the super-wide, smooth surface. Not many countries who host events of this stature allow the full use of arterial highways. Johannesburg is famous for housing the biggest man-made forest of trees. From the route you will get great views of many suburbs that are amazingly green, considering the population density in the city. It’s a lot of fun! With hundreds of riders wearing fancy dress outfits, to entertainers, music and dancers along the route and even some ‘special offerings’ to keep you going, from supporters on the sidelines! The camaraderie along the route is something spectacular – welcome the support of your fellow riders if you’re struggling – they’ll be there to encourage you all the way! If you’re from Joburg, it’s a must-have for your bucket list! You cannot live in this city and not have completed this iconic annual event. Nobody wants FOMO! 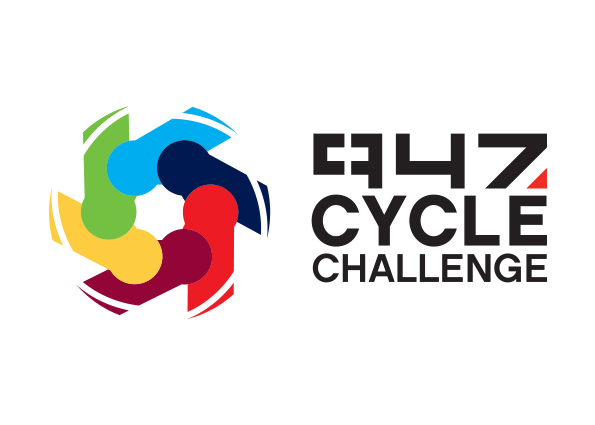 The Cycle Challenge is a Cape Town Cycle Tour qualifier. The Cycle Challenge, simply put – is tough. The route is not for sissies, you’ve got to be strong to take it on, and finish. Earn the street-cred and respect you deserve for successfully crossing that finish line. Cycling is a sport that is integrated into millions of lifestyles across the country in many different forms; some people take part for fitness, for others it’s fundraising and for the rest it’s fun. Either way, there’s no reason not to love your bike, love your city and just #lovecycling.